Move the ball, move the chains, run the clock. You do those three things, especially in the second half and against an offense that's just begging to shake off it's doldrums, and you're gonna win some ball games. The facts are these: Kerry Collins hasn't had a 200-yard passing game this season, and his completion percentages is pretty average. But he's only thrown three picks and only been sacked once. He's doing what's being asked of him, and has the physical and mental skills to adjust his game to what the defense is giving him. Against KC, it was getting the ball to his rushers, allowing them to thrash the Chiefs for 300+ yards on the ground. Against the Colts, it was hanging in the short-step pocket, allowing the routes to emerge and finding his target and delivering the ball on target. He's the perfect quarterback for what this team wants to accomplish right now. The future will take care of itself. 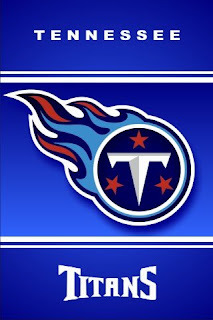 One of the hallmarks of the last time the Titans were this good was that you never knew if they could finish a game out without losing the lead they'd worked so hard for at least once. This time around, they're getting the lead and keeping it. The two-point conversion and the two consecutive fourth-down stops? All three plays were potential game changers, and the Titans came up big each time. They're playing with a tremendous amount of swagger on the field, and completely avoiding that swagger off it. The "We're not getting any respect" line you so typically hear from teams of this caliber? Nowhere to be found.